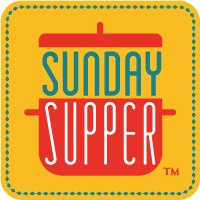 This week Sunday Supper partnered with Gallo Family Vineyards to share Memorable Holiday Meals: Holiday Traditions and Recipes using wine in the recipe. When it comes to memorable Holiday recipes, a cake always stands out as something special. So when we received two bottles of wine from them – Moscato and Cabernet Sauvignon – this Red Wine Chocolate Cake came to mind immediately. Their full-bodied Cabernet Sauvignon has tastes of rich black fruit and spice, which I thought would complement the chocolate perfectly. The result was nothing short of spectacular. This Red Wine Chocolate Cake was a beautiful, fluffy chocolate cake with red wine flavor throughout. The cake was just perfect as-is, so I served it with a simple dusting of powdered sugar, a dollop of whipped cream on the side and dressed up the plate with some fresh raspberries. Simple, sophisticated, superb! This Red Wine Chocolate Cake would definitely be a memorable addition to your menu this Holiday season! Gallo Family Vineyards is celebrating families of all kinds and encourages you to create your own family crest to celebrate all of the different families in your life – your coworkers, best girlfriends, golfing buddies, book club, any club. Visit the CrestCreator.com to build your own custom family crest. Preheat oven to 350F degrees. Spray a bundt pan with baking spray and set aside. In a small bowl, whisk flour, cocoa, baking soda and salt. In a large bowl, using a hand mixer, cream butter and sugar until combined and fluffy, about 5 minutes. Add eggs one at a time, beating after each addition. Add vanilla, and beat for 2 more minutes. Working in two batches, alternately add flour mixture and wine, folding by hand until just combined. Pour batter into prepared baking pan. Bake for 45 minutes, or until a toothpick inserted in the center comes out clean. Let cool in pan for 10 minutes and then remove from pan to a wire rack to cool completely. Just before serving, dust with powdered sugar. And now I’m going to be distracted today thinking about this great cake. GORGEOUS cake, Alida!!! It would disappear in an instant around here!!! Beautiful! I love just the dusting of powdered sugar too. Mmm looks delicious and rich and chocolaty! Love this cake. Beautiful cake! Love the chocolate and red wine combination! Love that this is made in a bundt pan…and I can see a purplish tinge from the red wine. This is beautiful, and sounds absolutely delicious. I bet the red wine complements the chocolate perfectly! Thanks for letting us know Alexis. I have removed the reference from this post and will add it back once it is up and running again. Oh my gosh, I love a good Bundt cake. This recipe is going on my must-make list for next week!